This powerful Indian crime drama movie debuted in theaters in 1987. It follows the life of a little boy named Shakti Velu who's father is murdered by a police officer. Witnessing the event, Shakti develops a deep hatred of the police and takes revenge on the officer by killing him. Homeless, the boy is drawn deep in the underground world where crime and gangsters rule. Seeing further police brutality in the slums where he resides, the boy who is now grown up stands up for the people against the savagery of the police. He becomes a hero, a sort of Robin Hood, but his kindness leads to his ultimate downfall as a powerful and moral criminal boss. 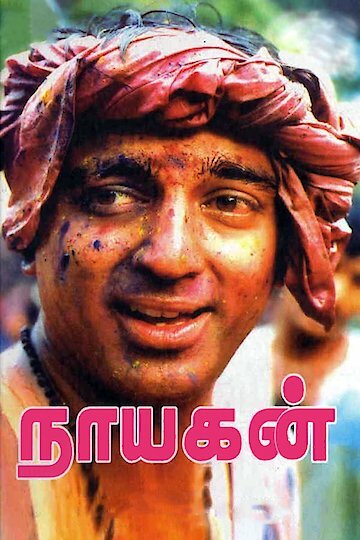 Nayagan is currently available to watch and stream, download, buy on demand at Amazon Prime, Amazon online.